Born in New York City in 1923, Victor A. Lundy began developing his artistic talents at an early age. His parents recognized his unique aptitude for drawing and draftsmanship, and with their encouragement he attended New York University to study architecture, specializing in the Beaux Arts style. 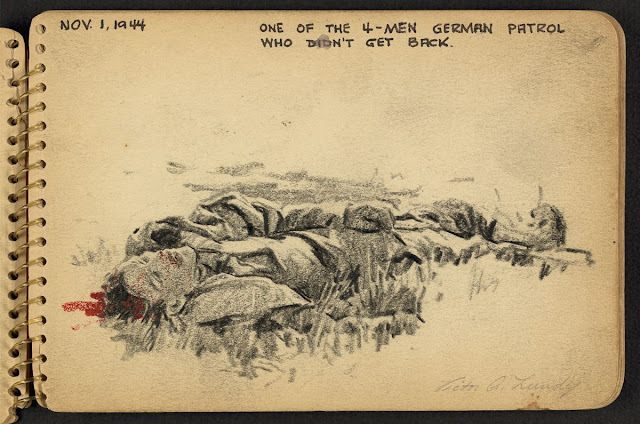 During his studies, Lundy became captivated by the thought of helping to rebuild Europe once World War II was over and enlisted in the Army Specialized Training Program. With the Allied invasion of France on the horizon, the 21-year-old student was transferred to an infantry division bound for front line combat. 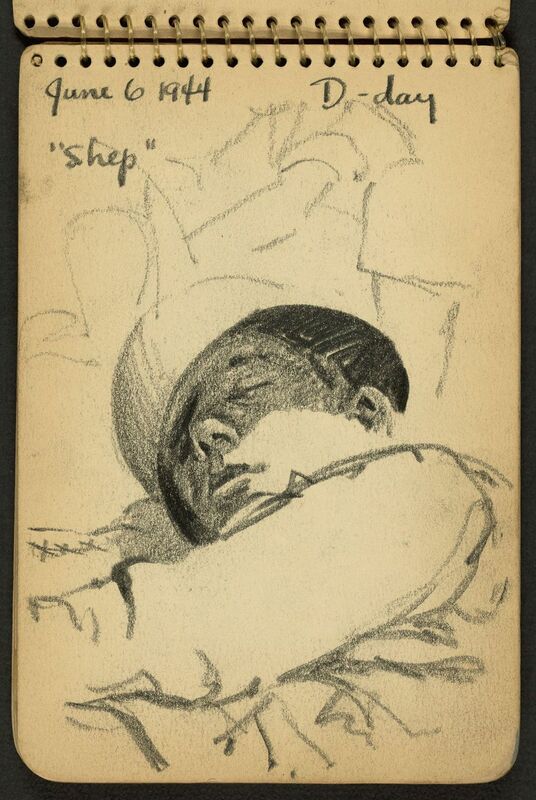 During his tour in the Army, he took any moment of free time to fill his sketchbooks with the faces and scenes around him. After the war, Lundy went on to become an acclaimed and successful modernist architect, designing a number of innovative buildings including the United States Tax Court Building in Washington, D.C. 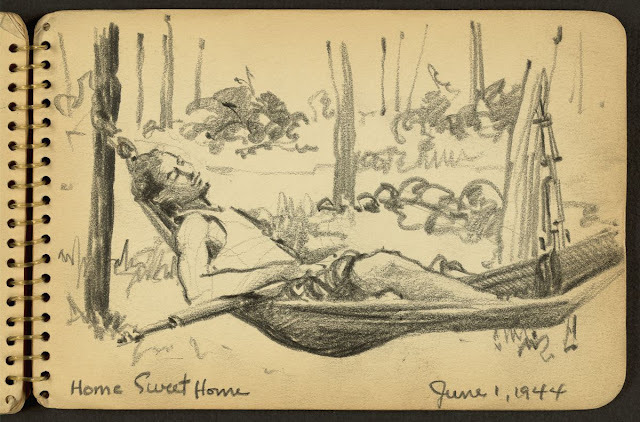 These sketches trace Lundy’s journey from training at Fort Jackson, South Carolina, to shipping out across the Atlantic, to front line duty in France before his wounding in combat in late 1944.